Nikki Odelle Young McKee, 82, a military spouse, died August 19, 2004, at her home in Potomac Falls,Maryland. She had Alzheimer's disease. Mrs. McKee was born in Lakeland, Florida, and worked at the Lodwick School of Aeronautics. She married an Air Force pilot in 1944 and accompanied him on 22 assignments overseas and in the United States. After his retirement, they settled in Washington, where her husband was governor of U.S. Armed Forces Retirement Home from 1978 to 1990. She worked for charity events and youth groups and sang in church choirs. Her duties as a military spouse often required hosting dignitaries, including three U.S. presidents, and their entourages. The McKees moved to the Air Force Officers Retirement Community in Potomac Falls after she became ill with Alzheimer's disease. 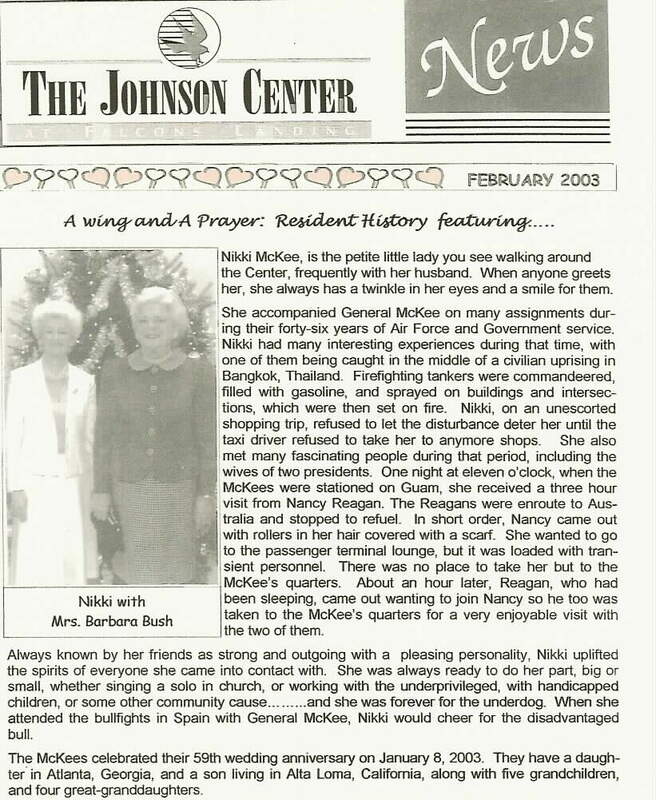 Survivors include her husband of 61 years, retired Air Force Lieutenant General George H. McKee of Potomac Falls; a daughter, Beverly Sue Wilson of Clayton, Georgia; a son, retired Air Force Lieutenant Colonel Mike McKee of Alta Loma, California; a sister; five grandchildren; and three great-granddaughters. 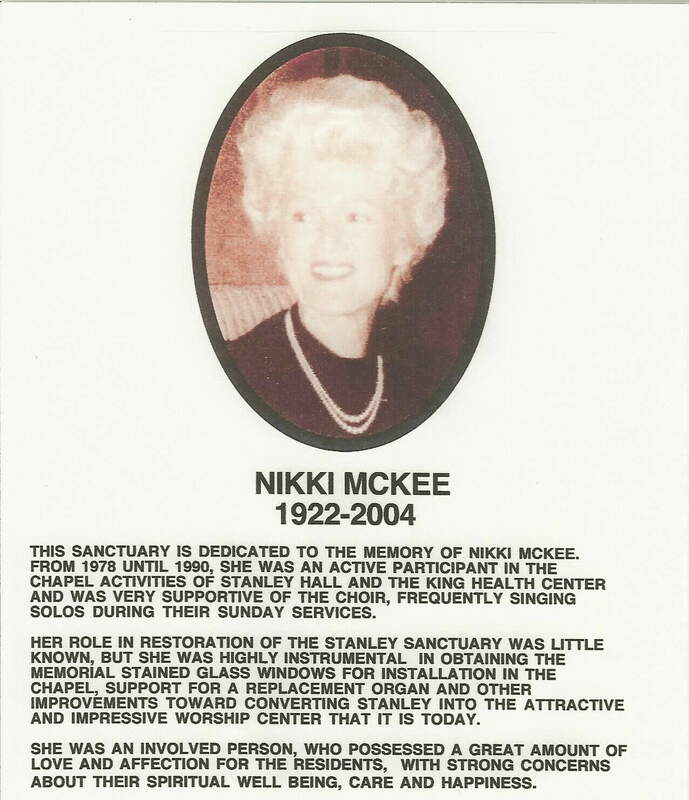 The Sanctuary of the main Chapel at the Armed Forces Retirement Home (Washington, D.C.) is being dedicated to the memory of Nikki McKee. She is already listed on the Arlington Cemetery web site. Is there a way to get this latest recognition of her work and contribution to the AFRH included on the Arlington Cemetery site. Please reply.